You don't need to know how to crochet to create this simple chain stitch ... but, you WILL NEED YOUR GLASSES! We use a tiny crochet hook to get sweet little stitches. 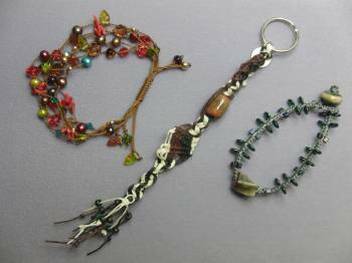 Using relatively fine C-lon cord, learn to create fine jewelry with cording and beads. Square knots, half-hitch knots and more will be covered. Create a freeform piece or make a symmetrical piece combining a few techniques. Update classic stitches! Learn square knots and twist knots in this basic macrame class. You pick your beads, and we'll help you on your way to greatness! 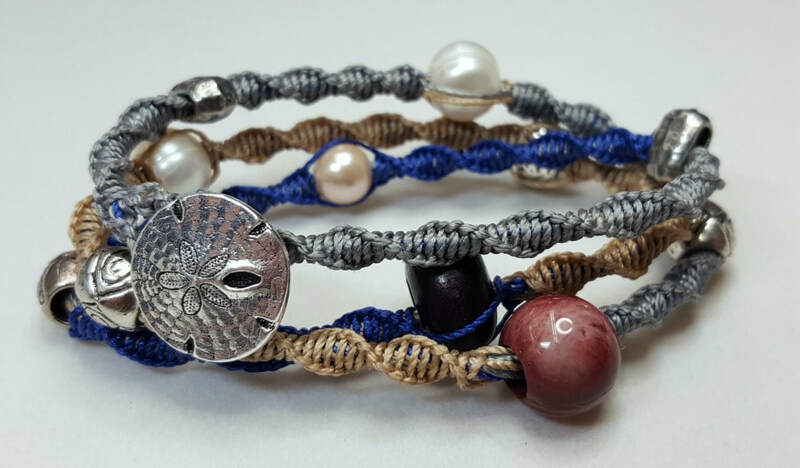 Learn the beautiful macrame twist knot to create this organic wrap bracelet. Totally on trend (though, who cares if we're not, anyways? ), create this great macrame bracelet with more ease than you would expect. Shamballa is actually a mythical kingdom that Tibetan Buddhist believe in. Many people use these bracelets for personal strength; they are very popular in meditation. Most of all they are a symbol of oneness.